Presence is a gift, to both our clients and ourselves. Yet many clinicians like you are unsure about how to enhance therapeutic presence to deepen client connection, strengthen therapeutic relationships and improve outcomes. We've brought together leading clinicians from The Institute for Meditation and Psychotherapy and faculty from Harvard Medical School including Drs. 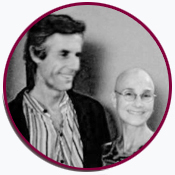 Christopher Germer, Ron Siegel, Christopher Willard, and Susan Pollak to share with us ten enlightening and engaging sessions on deepening Presence, to enhance both your professional practice and personal wellbeing. The Power of Therapeutic Presence is a unique online course filled with practical meditative and mindfulness exercises and tools that will cultivate presence deeply into your clinical work and life. Transform your therapeutic relationships and outcomes! You'll first learn about the neuroscience behind therapeutic presence, and how it impacts clinical work, before diving deep into clinical applications for difficult client issues such as challenging emotions and pain. Each and every session provides practical tools and key strategies that establish greater therapeutic presence in your work and your life. Mindful and compassionate presence are not just trendy ideas, but have a deep history, as well as a powerful underlying physiology and neuroscience to explain them. In this session, you'll discover the fascinating neuroscience behind contemplative practice, as well as simple ways to share the science with your clients. We'll explore and practice multiple techniques that you can use yourself or with clients in and out of the therapy hour. 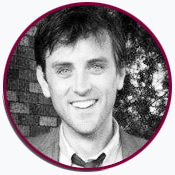 Christopher Willard is a psychologist, instructor at Harvard Medical School, educational consultant, and author of several books including Child's Mind and Growing Up Mindful. Self-compassion is a state of warm, connected presence during difficult moments in our lives. It is an inner strength that can be cultivated inside or outside the consultation office. During therapy, self-compassion can help a therapist to recognize and "be with" difficult emotions within themselves and thereby stay in connection with their clients—a key component of therapeutic presence, and a core ingredient of skillful management of the therapeutic encounter. In this session, a simple self-compassion practice will be taught to help therapists maintain compassionate presence in therapy. 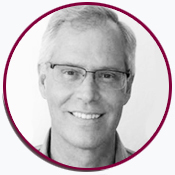 Christopher Germer is a clinical psychologist, lecturer on psychiatry at Harvard Medical School, founding faculty member of the Institute for Meditation and Psychotherapy, author of The Mindful Path to Self-Compassion, and co-editor of Mindfulness and Psychotherapy and Wisdom and Compassion in Psychotherapy. As long as we're alive, we experience pain. Unfortunately, many of our hard-wired responses to both physical and emotional pain multiply our miseries, trapping us in viscous cycles of suffering. This session focuses on ways to be present with pain that interrupt these cycles, freeing us from unnecessary suffering. Therapeutic presence arises from a clinician and clients' increased willingness to relate to pain with flexibility versus control and avoidance. 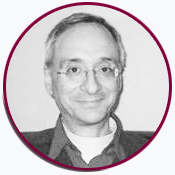 Ron Siegel is assistant professor of psychology at Harvard Medical School, and author of multiple books including The Mindfulness Solution: Everyday Practices for Everyday Problems. The best therapy outcomes come for clinicians who cultivate and maintain high quality therapeutic alliances with their clients. In this session, you'll learn a simple, comprehensive method (MCS) for understanding, managing and enhancing the authenticity of therapeutic communication. The evidence-based mindfulness and here-and-now relationship management skills covered in the method will improve your therapeutic alliances with clients, build your "presence" and maximize effective intervention timing to improve therapeutic outcomes. Mitch Abblett is a clinical psychologist, the executive director of the Institute for Meditation and Psychotherapy, and author of multiple mindfulness-related books and publications including the upcoming title, Helping Your Angry Teen: Reducing Anger and Connecting with Mindfulness and Positive Psychology. To learn the skill of equanimity is to learn how to find balance in our lives. It is the development of a steadiness of mind and a calm understanding that allows us to be with our constantly changing world. This is especially useful for clinicians as it allows us to sit with whatever arises in our consulting rooms! In this session, we'll begin cultivating equanimity both cognitively and experientially—through key equanimity meditations—that will enable us to connect more deeply without being overwhelmed by the pain we see, hear, and feel in our practice. Susan Pollak is a clinical psychologist, faculty member in psychology at Harvard Medical School, president of the Institute for Meditation and Psychotherapy, co-author of Sitting Together: Essential Skills for Mindfulness-Based Psychotherapy, and a contributing author of Mindfulness and Psychotherapy, 2nd edition. From the point of view of Tibetan Buddhist psychology, presence can be seen as a gateway into the virtual entirety of the Dharma teachings. Understanding and cultivating mindfulness practice within this understanding is a pathway to deepened therapeutic presence and clinical impact with clients. In this session, we will explore presence in stages: a beginning, a middle, and an end—a ground, a path, and a fruition. 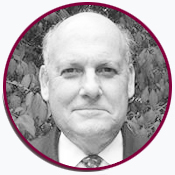 Charles Styron is a clinical psychologist, treasurer for The Institute of Meditation and Psychotherapy, and a practitioner and teacher of Shambhala and Tibetan Vajrayana Buddhist traditions. Discover how self-care can increase your capacity to be more fully present—with yourself, your patients, and with others in your life. Through a combination of didactic material, discussion, and simple mindfulness exercises, this session will give you practical tools and skills you can start using right away to practice better self-care, both inside and outside of the clinical hour. 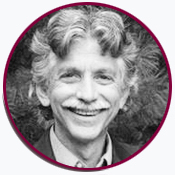 Tom Pedulla is a clinical social worker, faculty and board member at the Institute for Meditation and Psychotherapy, and co-author of Sitting Together: Essential Skills for Mindfulness-Based Psychotherapy. Personal insecurity is a common presenting clinical issue in psychotherapy clients. A Buddhist perspective, with the recognition of the universality of suffering, offers alternative pathways to meet and overcome this source of distress in both our clients and ourselves. In this session, you'll learn how this perspective helps clinicians in engaging their own painful experience during psychotherapy, to increase their capacity for engaging with and alleviating the suffering of clients. 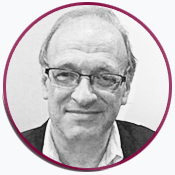 Paul Fulton is a clinical psychologist, lecturer in psychology at Harvard Medical School, founding member of the Institute for Meditation and Psychotherapy, and co-editor of Mindfulness and Psychotherapy (2nd Edition). Why do westerners struggle to establish a regular meditation practice? Could it be that traditional instructions are not engaging enough for our high stimulus cultural milieu? Creating a sound, consistent formal meditation practice translates into deeper therapeutic presence—the capacity and skill set of the clinician to create a sound, healing holding environment for their clients. This session focuses on identifying and engaging core elements of an internal holding environment, with ideas about how to cultivate them. 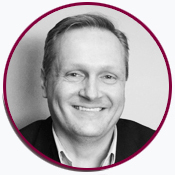 Bill Morgan is a clinical psychologist, founding board member of the Institute for Meditation and Psychotherapy, and author of Meditator's Dilemma: An Innovative Approach to Overcoming Obstacles and Revitalizing Your Practice. 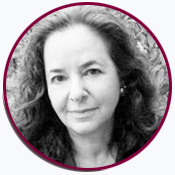 Susan Morgan is a psychotherapist and teacher of mindfulness meditation. Using the methods of Insight Dialogue, a co-meditative mindfulness practice, clinicians develop increased awareness of their co-created interpersonal patterns, and thereby deepen their personal and professional presence. Using the story of the historical Buddha's wife as an anchoring example, this session explores the foundations and significant implications of interpersonal resonance for healing and how clinicians' harnessing presence can be used as a relational unity. Through demonstration and discussion, you'll learn clinical applications for the therapy relationship. 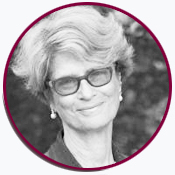 Jan Surrey is a clinical psychologist, board member of the Institute for Meditation and Psychotherapy, and co-author of The Buddha's Wife: The Path of Awakening Together. Want to know more about the course sessions & speakers? 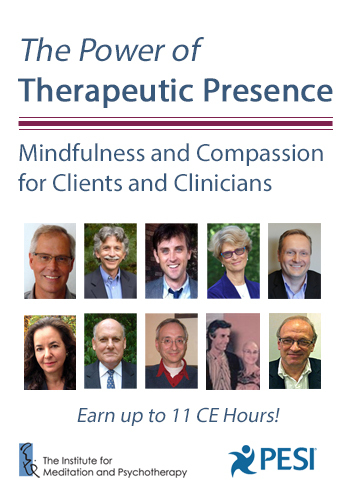 Over 10 hours of video training on cultivating therapeutic presence. Earn up to 11 CE hours - included in the price. Click here for total course CE Credit. Unlimited access to all videos online, and you can download the videos keep forever. Plus, use the CE21 Mobile™ app to access the course content on-the-go, wherever and whenever you want on your mobile devices. Register for this comprehensive training course without risk. If you're not completely satisfied, give us a call at 866-367-5697. We're that confident that you'll find this learning experience to be all that's promised and more than you expected. Register now to get instant access to the online portal. Complete your CE tests online when it's convenient for you, to earn up to 11 CE hours. Click here for total course CE Credit. Special Enrollment Period Ends Soon! This program was developed by The Institute for Meditation and Psychotherapy (IMP), in partnership with PESI. IMP is a nonprofit organization dedicated to the integration of mindfulness and psychotherapy. IMP's faculty have decades of experience at the intersection of both meditation and psychotherapy, and aim to bring the best of these practices to professionals and the larger community. IMP provides an array of educational programs, live and online events, conferences, resources and opportunities for practice support, networking and community. Visit IMP's website for more information on the benefits of membership, as well as our intensive Certificate Program in Mindfulness and Psychotherapy.